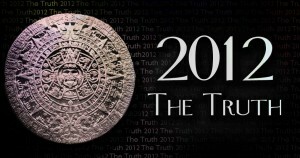 What’s All the Hoopla About the Mayan Calendar and 2012? One of the major components of our life coaching practice is that Chris and I regularly observe peoples’ behavior and vigilantly listen to how they express themselves both verbally and emotionally. What does December 21st, 2012 have to do with life coaching? Everything! One of the many opportunities we have for observing and listening is when we, as those working in the field of life coaching, have our local discussion groups. One of the most prevalent topics of discussion over the last year has been about what is going to happen to us as individuals, and on a greater scale, what is going to happen to planet Earth during 2012. I have listened to comments that have headlines like the ‘the world is going to end,’ to Armageddon, to cataclysmic disasters and massive devastation to a huge shift in consciousness that will change our evolutionary course as human beings. Life coaching for Chris and me is about listening- listening to a client’s inner dialogue. It is the content of this inner dialogue that creates each of our external realities, which we then call our own personal life experiences. This inner dialogue is not intricate or difficult to understand. In fact, it is easy to assess whether or not our inner dialogue serves us and those we interact with (family, friends, co-workers, etc.) in a positive or negative way. Quite simply put, our inner dialogue falls in to one of two categories: a dialogue of love or a dialogue of fear. One of the main benefits of participating in the life coaching process, is to move from a fear-based inner dialogue to the creation of a new thought system grounded in love. The result of this transformational process is that you see yourself and the world in a very different way. When you and I are open to changing our perspective from fear to love, we can live up to our limitless potential in any or all areas of our lives. I am going to ‘shift gears’ now because I sense you may be asking ‘what does the life coaching process have to do with the Mayan calendar and all the fuss about what is going to happen in 2012?’ The answer is: everything! When you begin the process of understanding that most, if not all of your thinking, has been hypnotically induced by what you hear from other sources (family, friends, acquaintances, the media), and that you have willingly accepted these ‘messages’ as the gospel truth, you begin to, if willing, to question the validity of the message itself. I know, for some of you right now, in this moment, that sounds and feels like a tall order…a virtual impossibility. To you, I say, ‘I understand.’ Please read on. It was Mahatma Gandhi who said, ‘Be the change you want to see.’ So, what does this statement mean to you personally? What kind of positive changes do you want to see for yourself, your world, and the planet-at-large in 2012 and beyond? Grab some paper and write them down. No matter how grandiose the changes you want to create may appear, remember, that in life all things are possible. Do not analyze, judge or categorize the changes you would like to see and experience in 2012 and beyond. However, what I would like you to observe is the energy you are infusing into these changes you have written down for you and your world. For these positive changes to become reality in your physical world, as we share with those in our life coaching classes, the energy behind each one of these changes has to be love. Chris and I suggest to all of our life coaching clients that love, and love alone, is the greatest catalyst for creating positive change. It is our capacity to love that is our greatest strength. It is our capacity to feel unloved or not loveable (which is really fear in disguise) that weakens us. 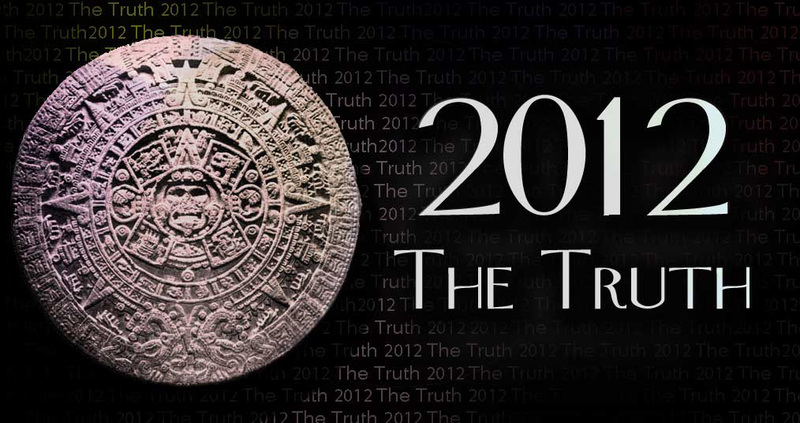 Now, understand, I am not writing this to discredit the Mayan calendar or the magnificent civilization that created it. I am suggesting, however, that no matter what time it is, whatever day, year, decade, century or millennium it is, you and I only have this moment right here, right now. And it is in this very moment, as your friends in life coaching community, that you and I either choose to live our lives and see the world through one of two lenses: the lens of love or the lens of fear. For those of you who choose to focus on the great catastrophes that may befall us, I suggest that you reconsider your choices. First, through the life coaching technique of observing your inner dialogue. Notice your own self-talk. A self-talk rooted in fearful thoughts is very attracted to fearful messages from other fear-based sources. Now, what if you could change those fearful thoughts to thoughts of love? When you begin to shift your thought patterns from fear to love you create two significant changes in and for your life. First, you see your outer world from a different perspective. Life on the outside becomes more attractive. Second, as we teach through our life coaching business, when your inner world of self-talk is grounded in love, with all of its’ attributes like kindness, co-operation, sharing and openness, you become very attractive to the outside world. Be willing in 2012 to begin to let go of all this negative, fear-based buzz about ‘the end of the world on December 21, 2012.’ Instead, take a tip from the life coaching community and commit to focusing on your strengths and how you can be part of both the inner and outer shift for humankind. Do not believe for one moment that you cannot make a positive difference. I always say to my life coaching clients: ‘You are one decision away from living the life you were intended to live.’ Make that decision for yourself, your loved ones and for the entire world in 2012!